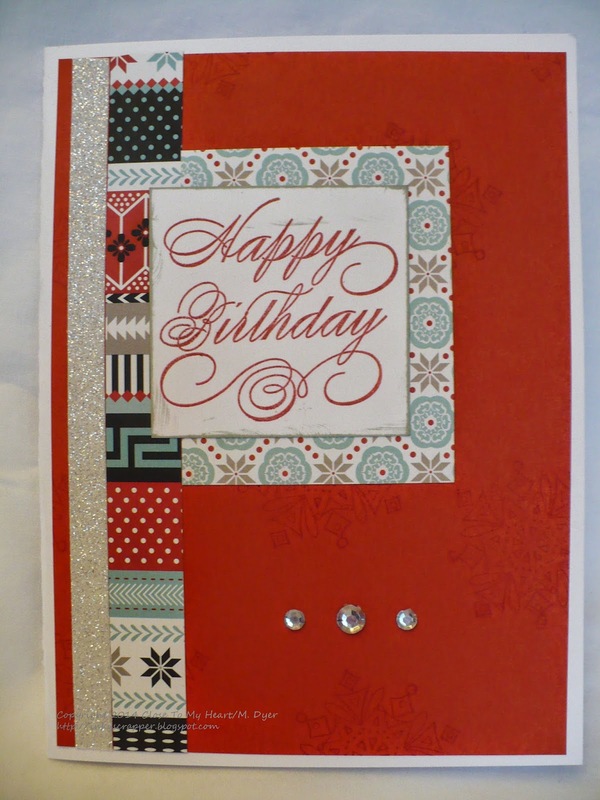 Each card uses the Snowhaven paper pack with red shimmer trim and sequins, plus Cranberry, Slate, Glacier, and/or Black ink. Here are close ups of each one. Thanks for hopping by and ringing in the new year, CTMH style! Be sure to see how Paige is celebrating! 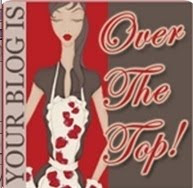 (Click on her name to go to her blog.) Happy 2015! 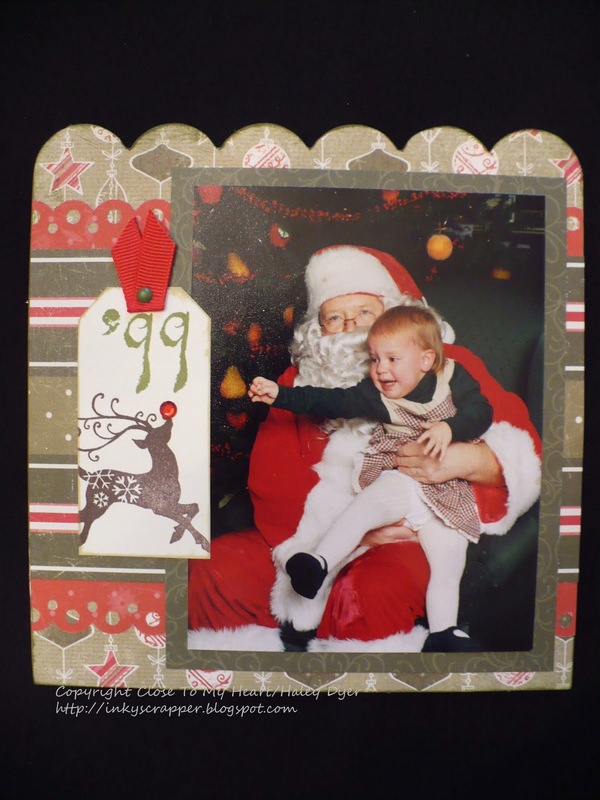 If you saw my post yesterday, then you got to see what I created for a fellow CTMH consultant for a little Christmas fun. Here is the great fun that I received in my mailbox from the talented Melissa Robinson! Thank you, Melissa! 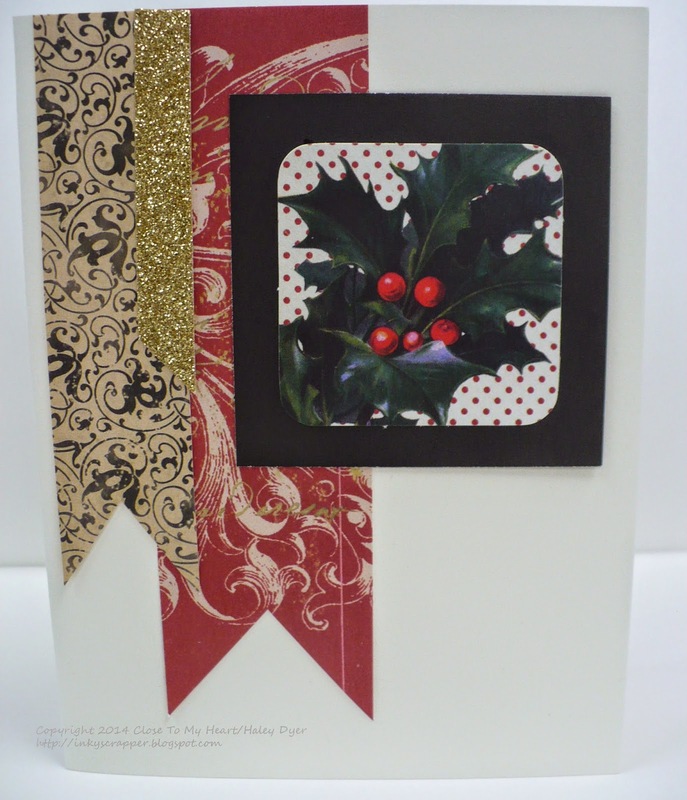 First is this pretty Yuletide Carol Christmas tree card. Aren't the snowflakes darling? What a cute idea! Just pull off the ornament to reveal what's inside. This gorgeous ornament! Who wants to make one? I do! Thank you again, Melissa! I love them all!!! In one of my CTMH consultant groups, we decided to participate in a "secret Santa" swap. 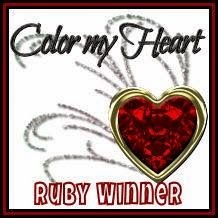 Here is what I made to send to Diane B. 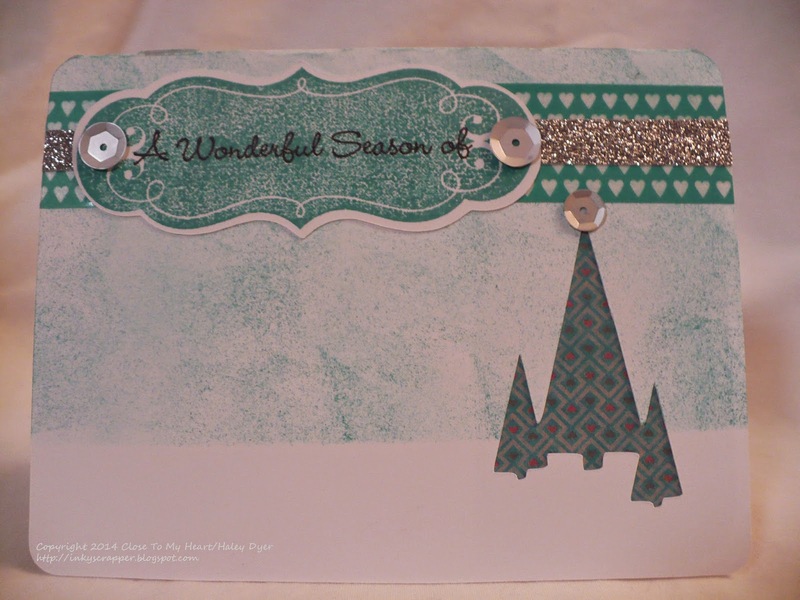 First up is her Christmas card, which I made with the Yuletide Carol paper pack, gold shimmer trim, and a pretty piece from the My Crush Holiday Happenings Assortment. Since her favorite color is blue, I made her this ornament with the Cricut Artfully Sent cartridge. You probably can't tell, but I poked holes in the sanded Pacifica card stock to mimic stars. (The sparkles show up well in the photo.) 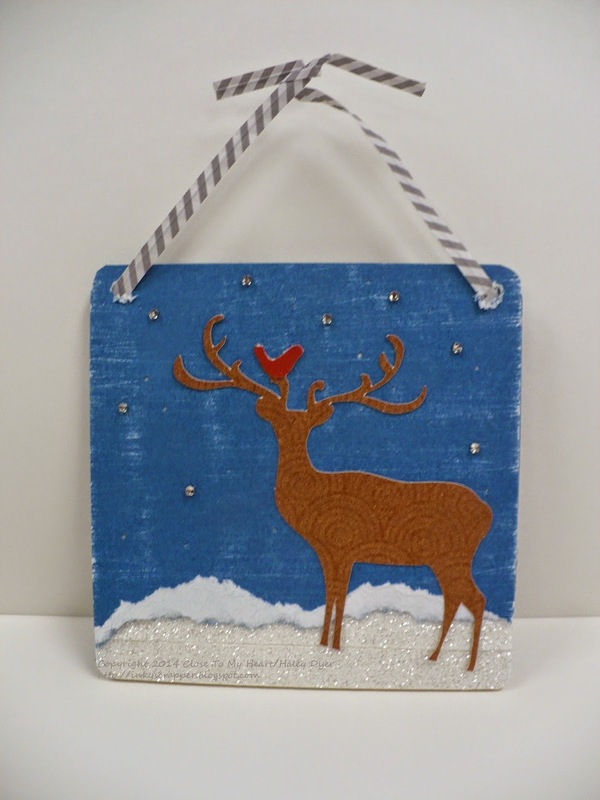 I used both of our new shimmer trims, white and blue, on the ornament. Finally, she also received some of her favorite chocolates so that she can enjoy a little scrappy snack while she plays! Merry Christmas, Diane! 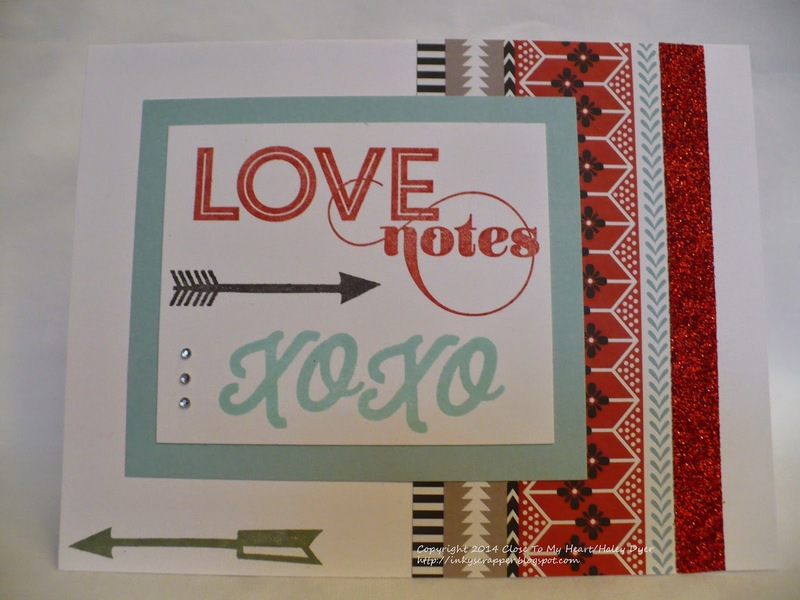 Here is another set of six cards that I made with my "one sheet wonder" template I created. 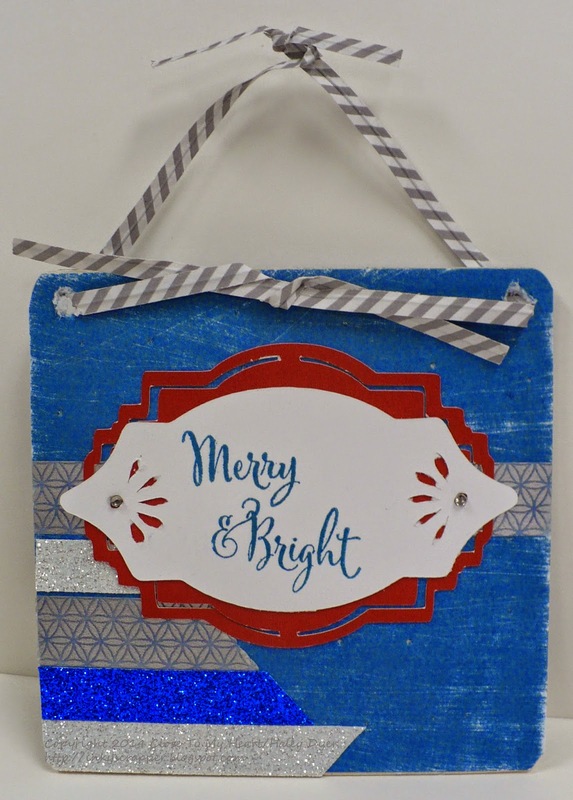 This one uses the January stamp of the month, This Moment, and the Snowhaven paper pack plus silver shimmer trim and silver sequins. We have two family birthdays this month: my brother-in-law's on the 19th and my Mom's on the 21st. 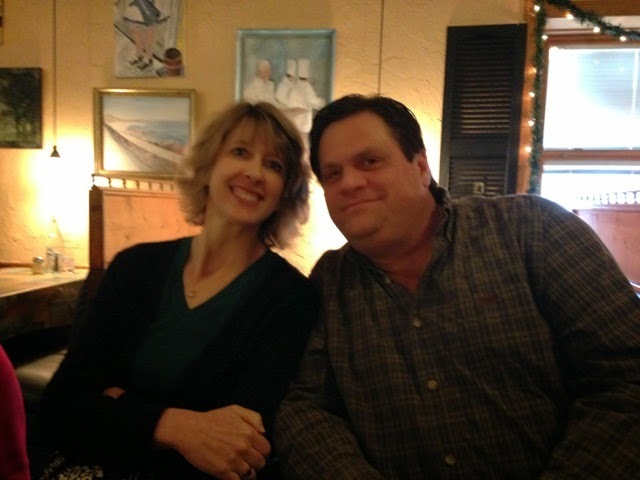 We celebrated with a delicious dinner on Friday for him and lunch out with the family for her on Sunday. 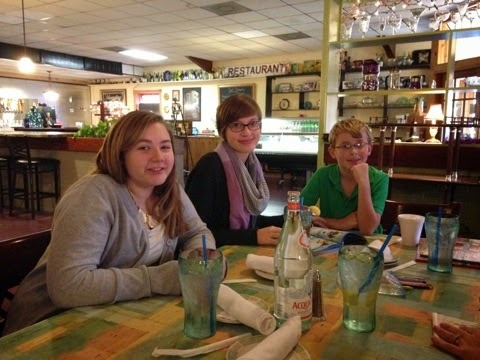 In addition, our younger daughter attended a sleepover for two friends Friday evening. She made these two gorgeous cards all by herself for the birthday girls. She used the Snowhaven paper pack for both. The top one is a 5"x7" and the second is an 8"x3.5" to hold a gift certificate. 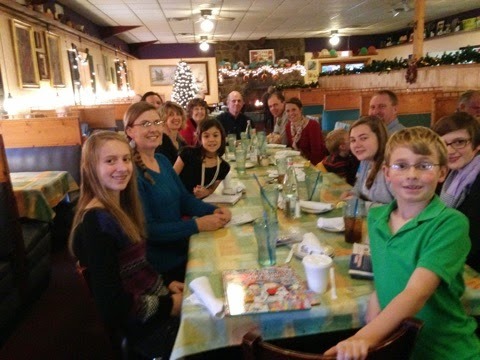 Here we are at Mom's celebration. We girls surprised her with a spa day tomorrow that I am so looking forward to! Here's another Studio J layout that I made last month during the Lucky 5 campaign. 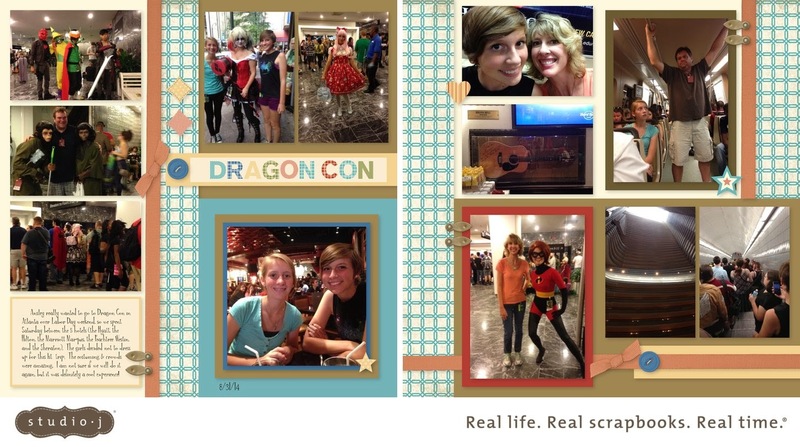 (Again, saving money scrapbooking? Count me in!) 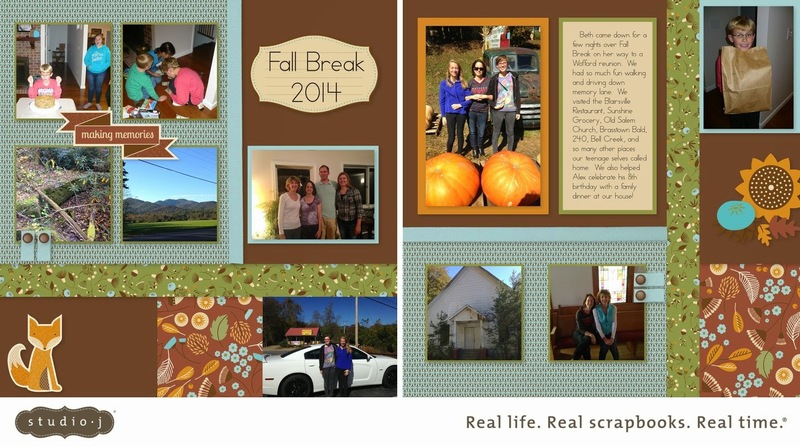 We are very fortunate to get a week off from school in October each year for Fall Break. 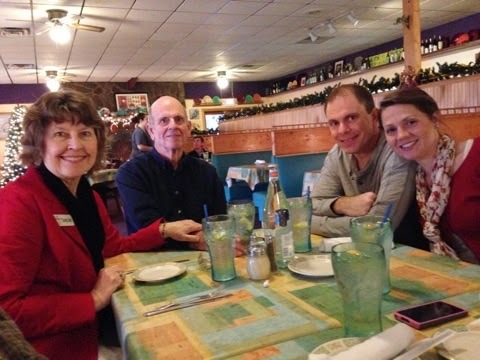 My cousin came "back home" to visit, and boy did we have fun walking and driving down memory lane! I used the Pathfinding collection for these fall photos. 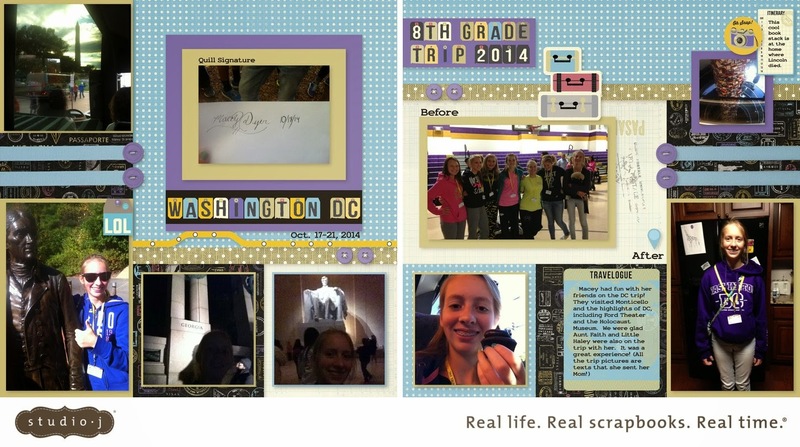 Back in October, our youngest got to go to Washington DC on a school trip for 8th graders only. 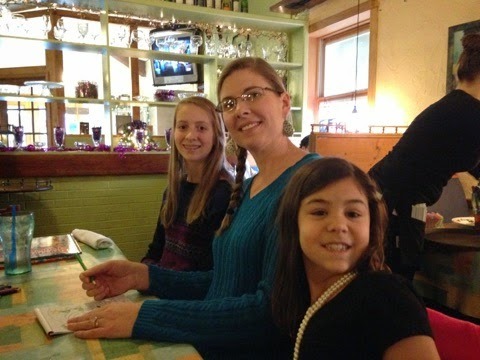 (We were very glad that my sister-in-law and her daughter were also going on the trip! It certainly eased this momma's mind!) 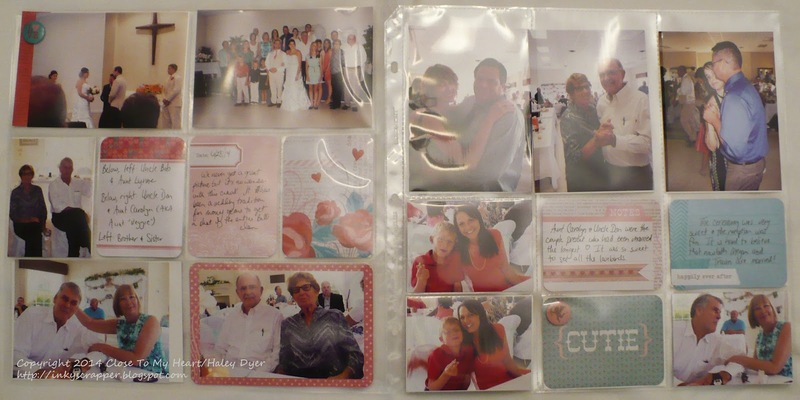 They stayed in contact throughout the long weekend via text messages, so I decided to scrapbook the photos she sent me with Studio J during the awesome November Lucky 5 campaign. 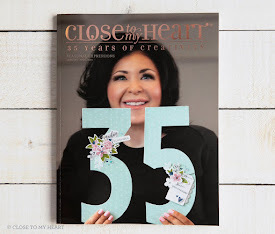 Saving money & scrapbooking? Win win! The travel-themed Wanderful collection was a great pairing with her photos. I know that this is a trip of a lifetime for her and one that she will never forget. You may remember the recent retirement party we held for our RV park managers. Here's the layout I made of the fun evening (using Pathfinding in Studio J). We decided it would be better for the kids (especially the younger cousins) to stay home with the teenagers rather than attend what would probably be a boring evening (to them). 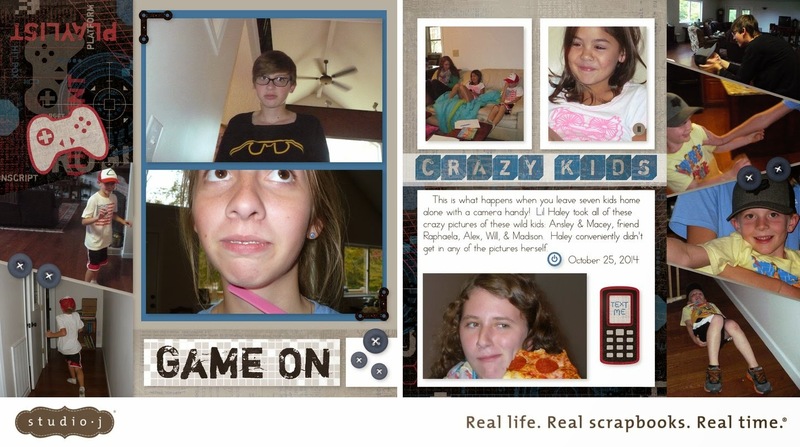 I made the "mistake" of leaving my camera at home, and here are the wacky photos my niece took! While the parents were away, the kids certainly did play! It was a great choice to leave them at home with pizza! This Studio J layout uses the techie Proplayer collection. I think it was a perfect fit for this crazy bunch. Gotta love 'em!!! Here's to a little silliness today! Happy Friday and have a great weekend! Our oldest really wanted to attend Dragon Con in Atlanta over Labor Day weekend, so we went for Saturday (only) of the long weekend. I couldn't believe the crowds and the amazing, over-the-top costumes! It was a really interesting day, to say the least. 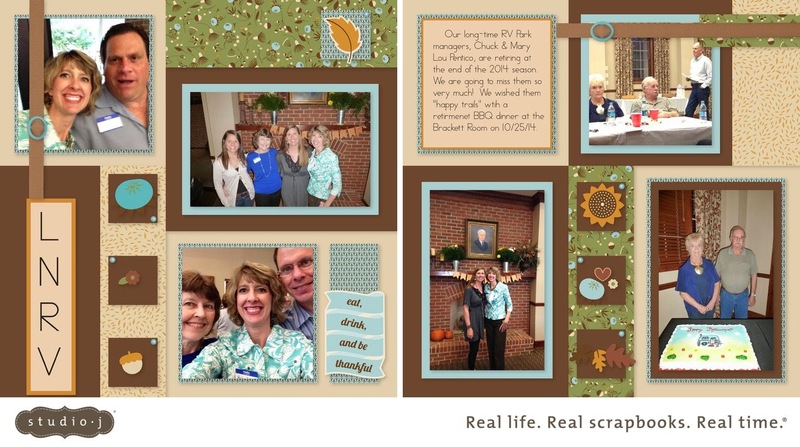 Using Studio J made it really easy to scrapbook my pictures (all taken with my iPhone). I used the Elemental collection because I couldn't decide on a color scheme or a theme, and it has great neutral yet fresh color palette. I did change the Sorbet to Sunset in a few spots to better match our photos. 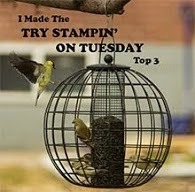 (That is soooo easy to do in Studio J!) I am really pleased with how this layout turned out. I also love that I can make one layout and then order 3 copies, one for each of us. 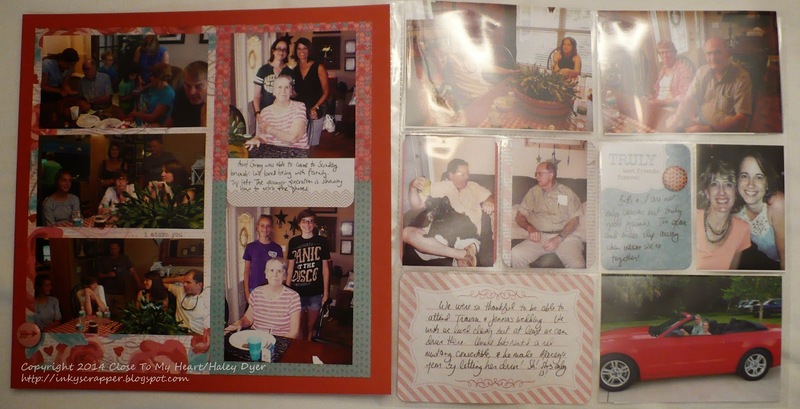 I know it is an experience we won't forget, and now we have the scrapbook page to prove it! BTW, if we go again, I am totally making/getting a costume! 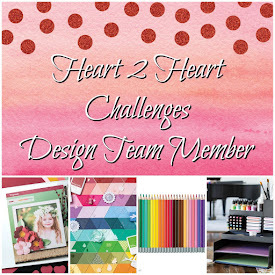 Heart 2 Heart Challenges is offering up a fun holiday color challenge: Silver, Lagoon, and Black! These colors are so festive and fun! I ended up making two different cards for the challenge. 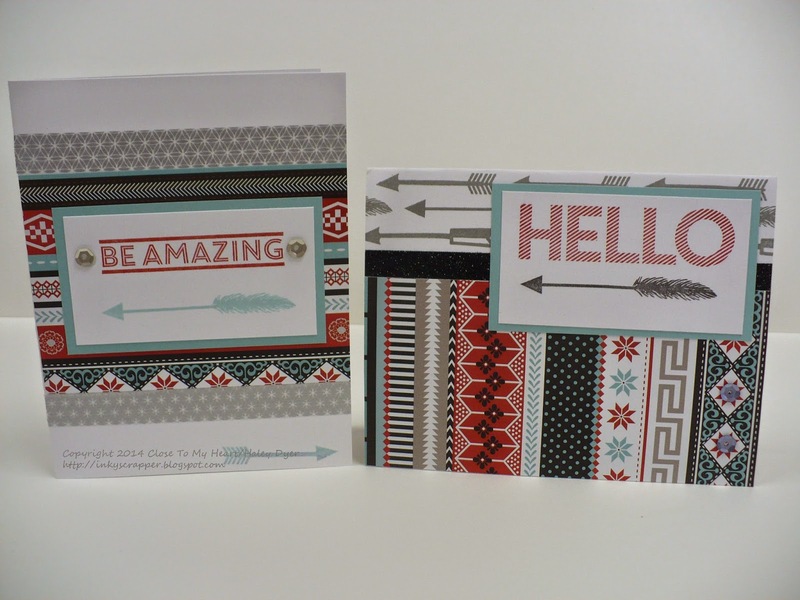 Both cards use the Art Philosophy CTMH/Cricut cartridge and Black and Lagoon inks plus silver shimmer trim and silver sequins. The tree and star were both cut from the Art Philosophy cartridge. I covered the star with Silver Geometric washi tape to top the Lagoon-stamped tree (from one of the Art Philosophy stamp sets). 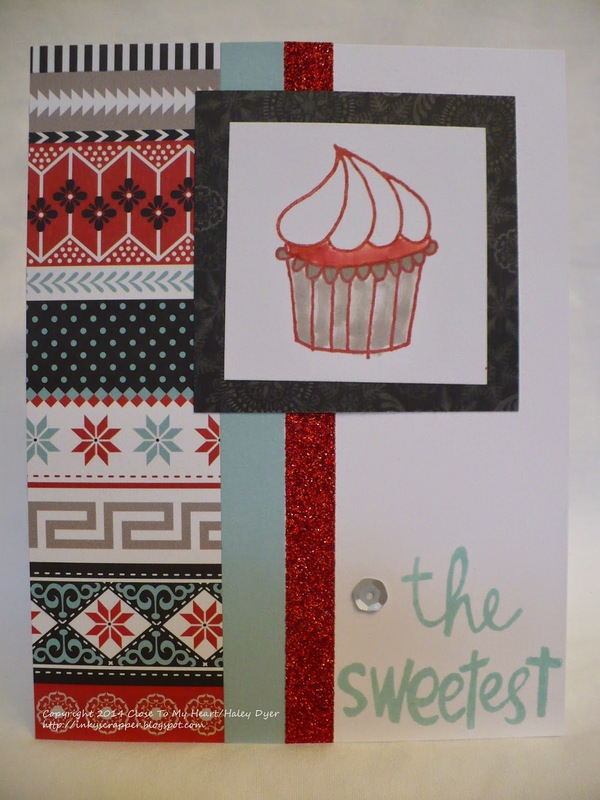 The sentiment uses the Holiday Tags stamp set, cut with the Artiste CTMH/Cricut cartridge (stamped in Lagoon and black). 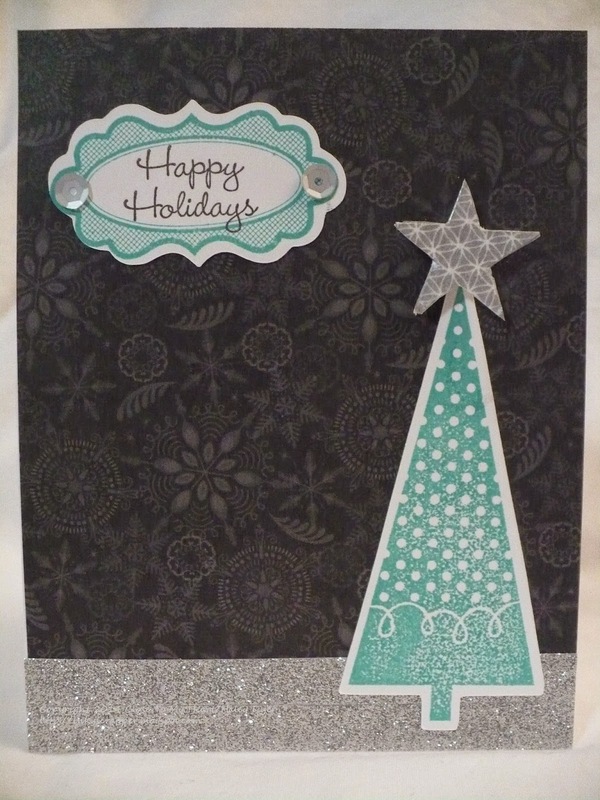 My "snow" base is two pieces of silver shimmer trim, and the black snowflake background is from the Snowhaven paper pack. My card base for the second card was cut with the CTMH/Art Philosophy cartridge. 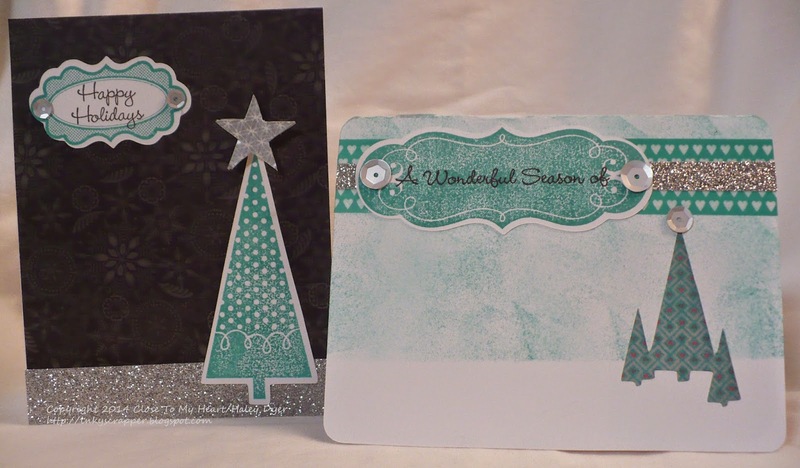 It actually cuts out the card base with the trio of trees cutout too! I backed my trees with scraps from my new Heartstrings paper pack. 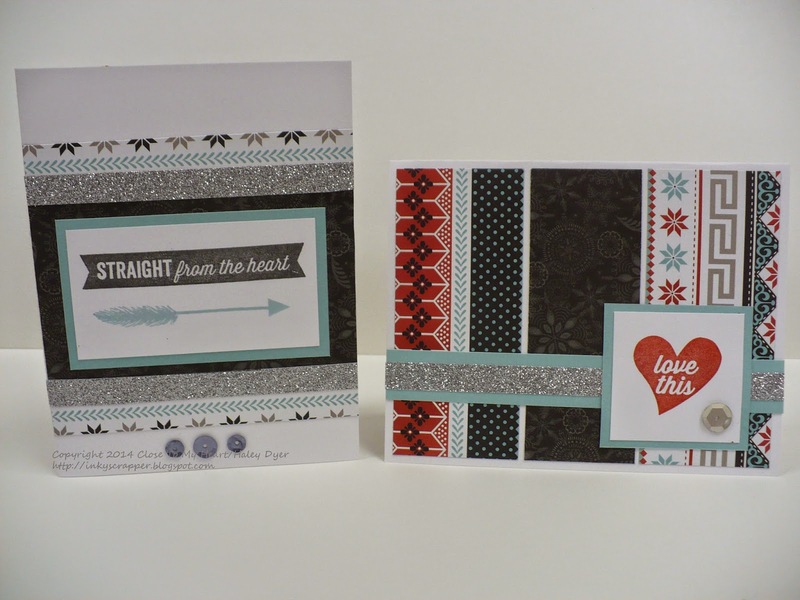 The sentiment is also cut with the CTMH/Art Philosophy cartridge and stamped with a coordinating stamp. (The frame is Lagoon and the sentiment itself is stamped in Black.) 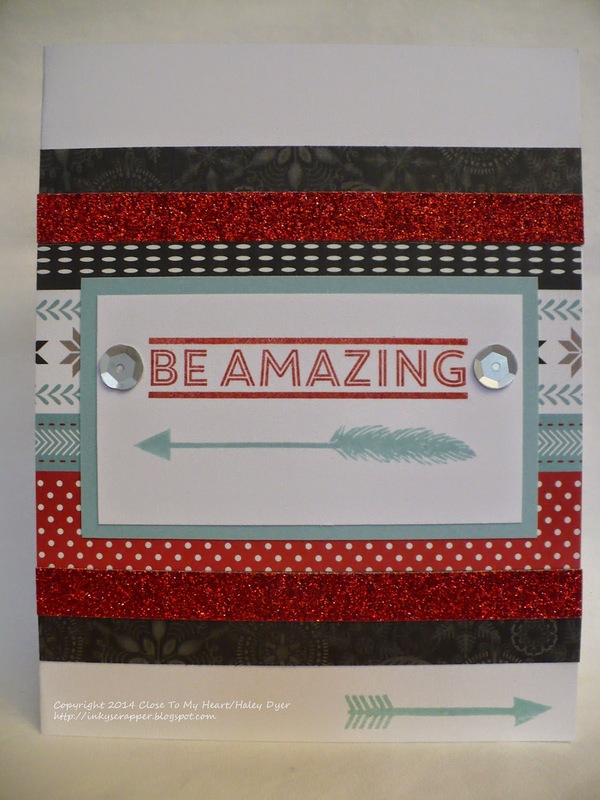 I "grounded" my sentiment with Lagoon heart washi tape and silver shimmer trim, plus I added some pretty silver sequins. I used a piece of scrap paper to mask off my snowy ground, and I sponged Lagoon ink on the card base to create a sky. The inside says "Hope" (from the same stamp set). 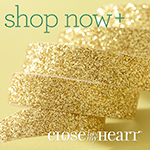 Are you ready to sparkle and shine with a little Tinsel? 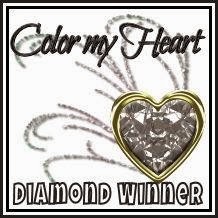 Get out your Lagoon, silver, and Black CTMH products and get creating! 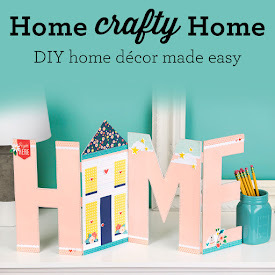 You don't want to miss out on the final H2H challenge of 2014! 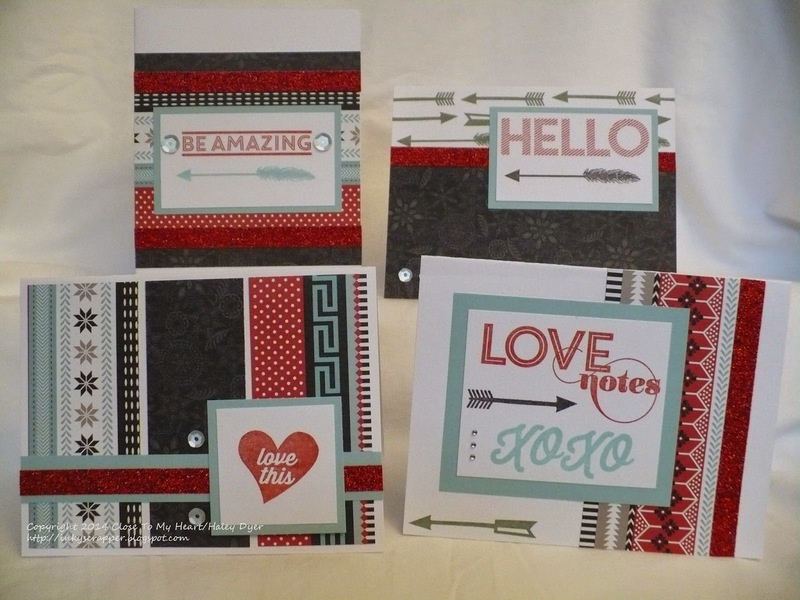 The Heartstrings paper pack is going to be my go-to pack! I love the Crystal Blue, Lagoon, Hollyhock, and Cranberry combo. I thought it was a perfect match with pictures from my cousin's wedding this summer. 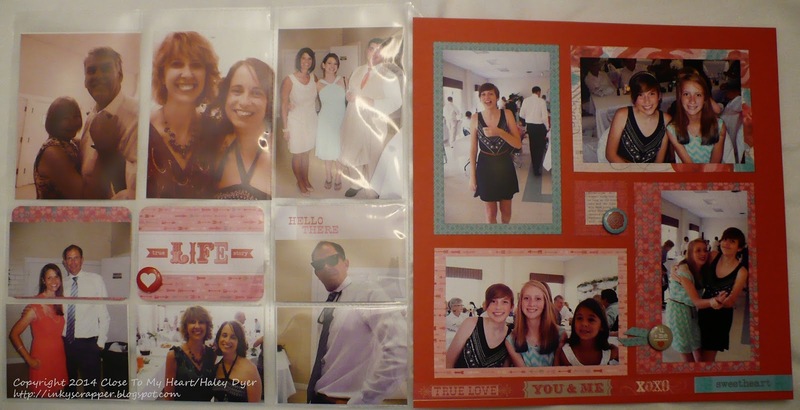 I combined the paper pack with the new Heartstrings Picture My Life cards. 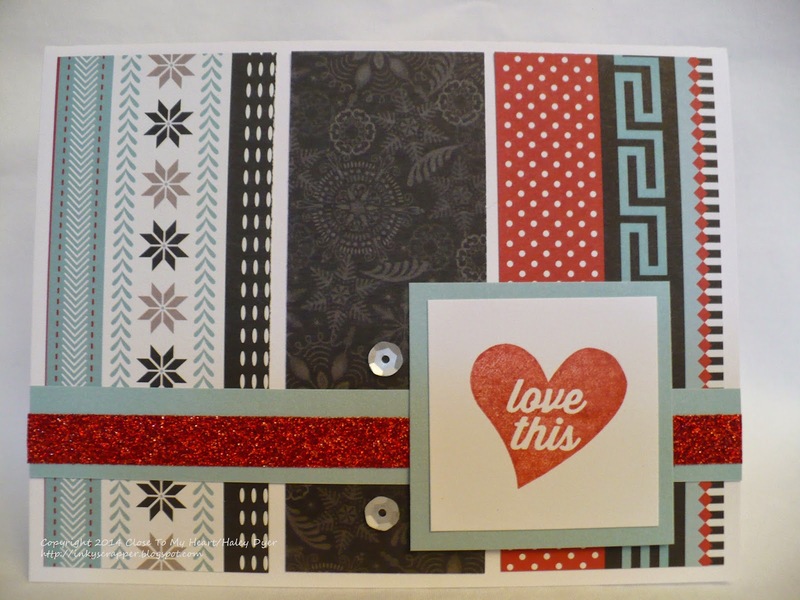 The only embellishments I used were the Heartstrings assortment. The first and last pages of my set use sketches from Relfections, while the middle two layouts use the Picture My Life cards and page protectors. Thanks for visiting. I hope you'll like the Heartstrings collection as much as me. There is sure to be more here soon! Now go check out Gina's awesome creation! 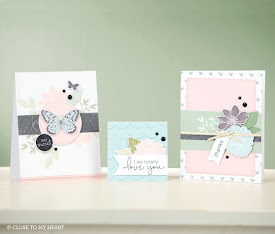 You are cordially invited to my December card class on 12/14 at 2 PM to make six cards from one sheet of B&T, a little card stock, and six card bases. Participants (and anyone who places a minimum $25 order through 12/14) will receive a digital copy of the template that we will be using. 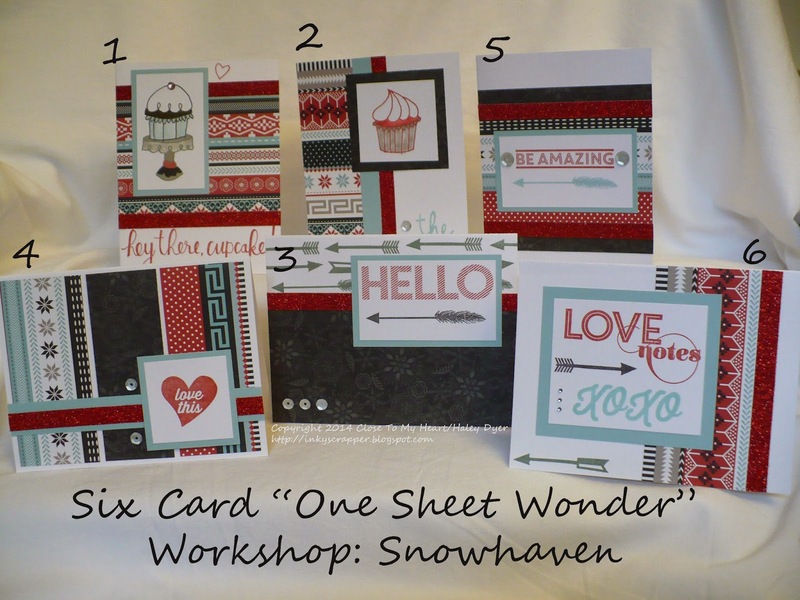 We will be using the Snowhaven paper pack for a little wintry fun. This is a great set to keep or to give away! 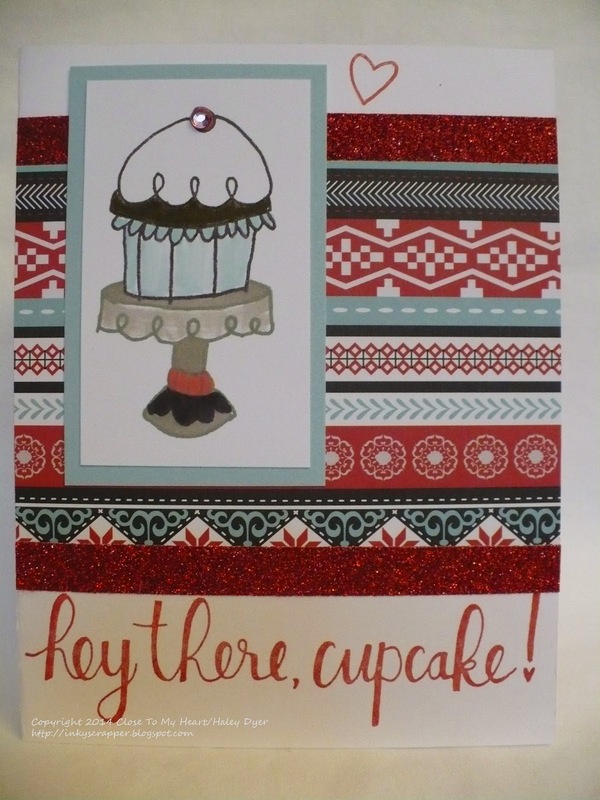 The first two cards use the December stamp of the month, Cutie Pie. Do you prefer a chocolate (Cocoa) cupcake (above) or red velvet (below)? 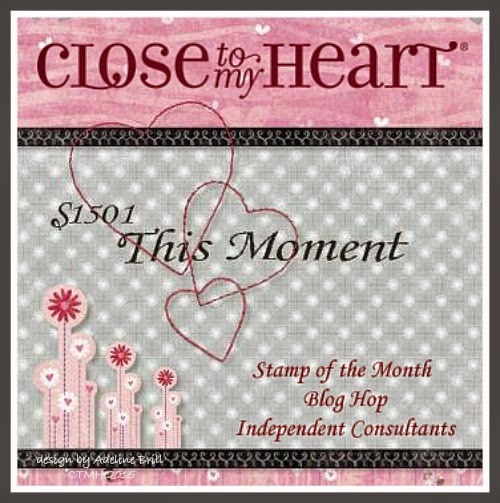 The rest of the cards offer a peek at the January stamp of the month, This Moment (not available until 1/1/15). 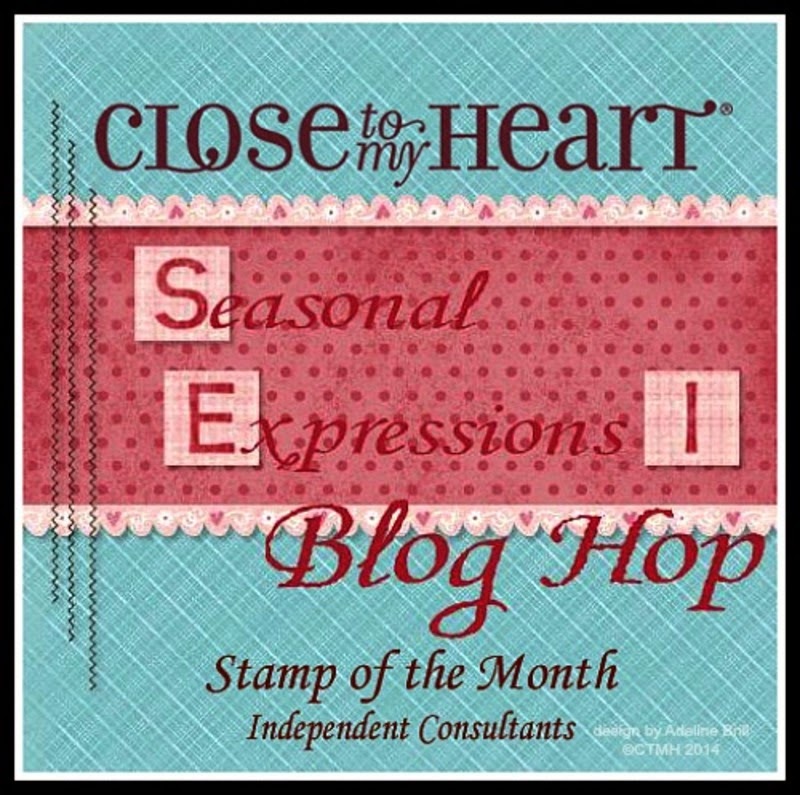 Of course you can mix and match to fit your needs; I will also have Christmas stamps available. If you're interested in attending or ordering your own kit, please contact me at inkyscrapper @ gmail dot com. I hope you're having fun gearing up for the holidays!